“Smooth Live Music for the Electric Violin”. “One of the most active Events violinists in the UK”. 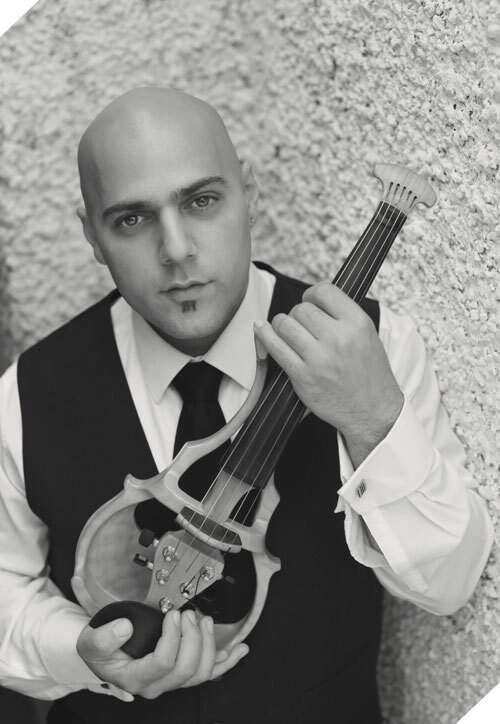 Georgio is predominantly a live performer and has established himself as one of the most active contemporary-style events violinists in the UK. He is a busy self-styled musician who performs regularly for a range of weddings, corporate events, restaurants, and private parties. As well as performing as a freelance solo artist, Georgio is an established member of the Diastello Greek Wedding Band, and regularly works alongside professional, experienced and versatile musicians. Georgio majored in violin performance, passing with distinction at Middlesex University in 2001. Within his second year, he was the principal violinist of the university orchestra. Always having a passion for the instrument, he previously attended the London Guildhall University and trained as a violin maker in 1998. With a diverse interest and education in music, Georgio has never limited himself to conventional repertoire and playing styles. 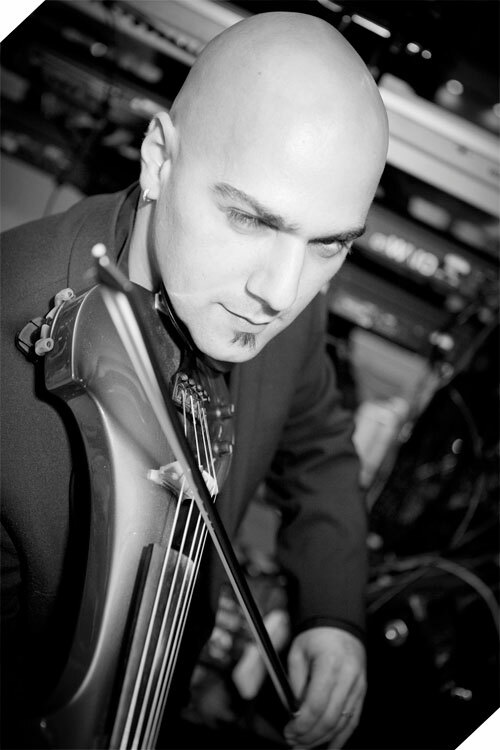 He has always had an interest in current music and strived to explore boundaries with the electric violin. Having owned a number of electric instruments over the years a custom made five-string Violectra by David Bruce Johnson is now the instrument of choice. Many of his musical influences derive from the experience of working alongside entertaining and accomplished musicians and artists of different styles and genres. Georgio has also worked with young people for many years teaching a range of music and music technology. He often provides performance opportunities, courses and has on occasions helped young people make life-enhancing steps in music education with scholarships across a range of high profile institutions. Claire Moir, Dressage Freestyle to music recording.